Delicious Vietnamese cuisine right here in Orlando. 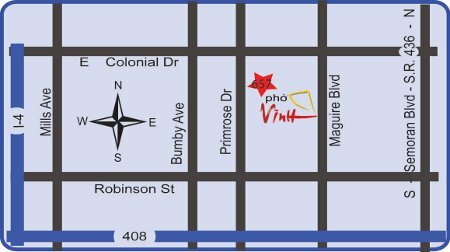 We have a large menu of Vietnamese dishes to suit any taste and any budget. Try our vermicelli rice dishes topped with beef, pork or duck. Or even cook your own slices of beef and shrimp on your own table griddle! And don't forget about our Phở! The Orlando Sentinel had given us a positive review that highlights our extensive menu, helpful staff, and delicious food. Which dishes did they enjoy? 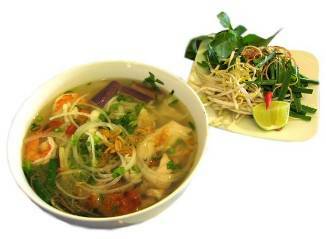 They liked the "richness" of our Thập Cẩm, fresh green papaya salad, and of course, our "heavenly" Phở! The full-flavored broth was earthy and heavenly on its own. But a spritz of citrus, a fiery pop from the peppers, the clean crunch of a slender sprout or the mellow flavors of quickly steeped fresh herbs add creative nuances. We were also well reviewed by respected food critic, Scott Joseph. ...a favorite Vietnamese restaurant of mine. The decor is bright and tidy, the servers are friendly and efficient, and the food I sampled was first-rate.